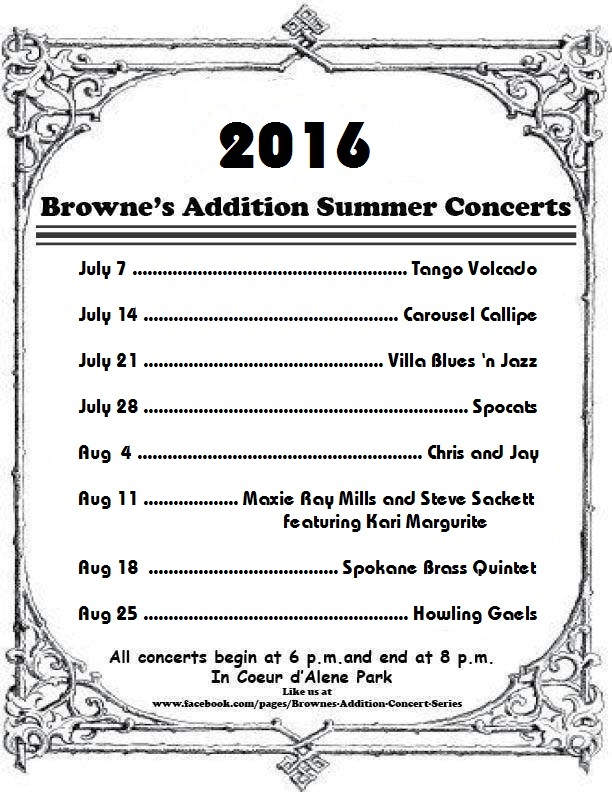 The 20th Annual Browne's Addition Neighborhood Summer Concert Series will be held every Thursday in July and August from 6 to 8 pm. 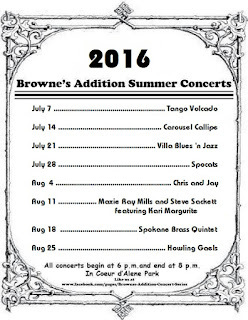 The concerts , sponsored by the Browne’s Addition Neighborhood Council, are free but donations will be collected. For additional information, contact Annie Matlow at 509-998-2262. As always, we are a FAMILY and PET friendly event!